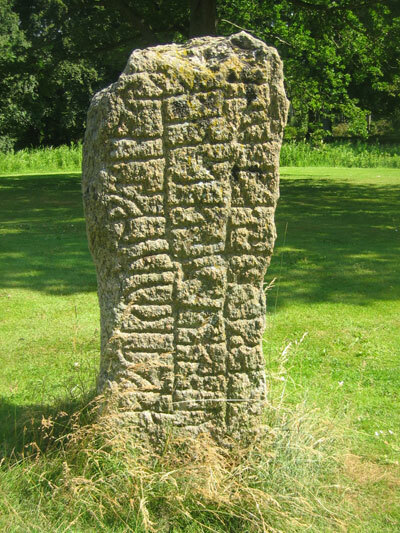 In memory of Hróðulfr stands this stone; he was priest of the Nes-dwellers. Sons placed in memory. Ávarr coloured. Arild Hauge took this photo + sent it to me. Thanks !